Rosenfeld Injury Lawyers LLC represents people injured in Rockford car accidents. Our team of Illinois motor vehicle accident attorneys appreciates how the impact a crash can be devastating to the individual and his or her family. If you are seeking a hands-on, proactive law firm to represent you in a Rockford car crash contact us now for a free case review. Our Rockford car accident attorneys work on a contingency fee basis. This meaning there is a never a legal fee charged unless there is a recovery for you. There have already been twelve fatalities on Winnebago County roadways within the first six months of 2015. Speeding and distracted driving are behind many serious accidents occurring in the community’s intersections. Talking on cell phones, attempting to beat the light, failing to yield or not stopping when required are all significant problems for motorists, passengers, bikers, truckers, bicyclists, and pedestrians. Busy junctions throughout Rockford mixed with inattentive drivers create serious hazards with the potential of deadly crashes. If you are involved in an accident with bodily injury, fatality or property damage exceeding $500 you are required by law to file a crash report. Law enforcement will respond to the scene of the accident and conduct an investigation. However, to ensure that your rights are protected, it is often advisable to seek legal counsel from a Rockford car accident lawyer who specializes in personal injury claims. 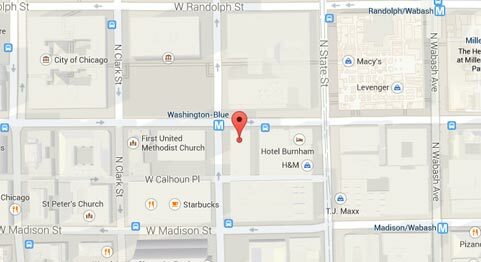 The accident involves a hit-and-run driver. Someone in the accident is suffering injuries due to the crash. There is a fatality at the scene. Any motorist involved in the accident was operating the vehicle under the influence. Any driver involved in the accident does not have a valid driver’s license. Any motorist involved in the crash cannot produce proof of insurance. Any vehicle involved in the collision is no longer drivable. Where do Auto Accidents in Rockford Occur? If you are involved in a traffic accident in Rockford, you must call law enforcement officers to report it. If the crash is minor and did not cause injuries, extensive property damage or death, the Rockford Police Department will likely not send an officer to the scene. However, reporting the crash is easily accomplished through the Emergency Traffic Accident Reporting Program. The program provides a simple solution for exchanging valuable vehicle and personal information including the names, addresses, phone numbers, driver's license numbers, vehicle insurance policy numbers and the license plate number, make and model of the vehicle. 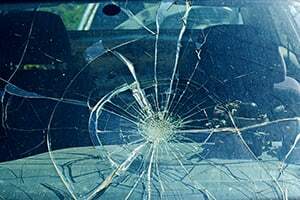 Nearly every individual who is hurt in a vehicle accident suffers severe injuries caused by an impact when parts of the car slammed into an object or another vehicle during the collision. Other times, the injury is the result of being struck by unsecured cargo or objects that become airborne during the crash. Common accident injuries often involve cuts and tears to the skin caused by torn metal and broken glass. In rollover accidents, the occupants of the vehicle can be tossed around or ejected even when wearing a seatbelt. The NHTSA (National Highway Traffic Safety Administration) claims that a head-on (frontal) crash usually causes the most significant injuries to the victim’s head, chest, neck, feet, legs of the driver and any front seat passenger. However, side impacts can also cause significant injuries to the victim, especially to their pelvis, head, abdomen, legs, and chest. Severed limbs, toes, and feet that are injured during serious motorcycle accidents. If the car accident was not your fault, seeking legal representation can help. Skilled Rockford car accident attorneys can evaluate your case and provide advice on all available legal options. Your injuries, damages, and losses likely entitle you to recover compensation from every person at fault in the accident. 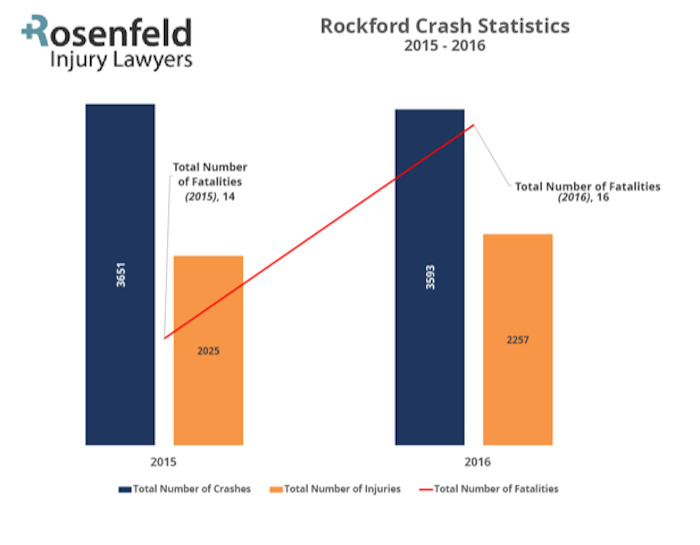 Rosenfeld Injury Lawyers LLC at (888) 424-5757 is a personal injury law firm with years of experience in handling vehicle accidents in Rockford Illinois. Our team of Rockford car injury attorneys can help you seek justice and hold those at fault accountable for their reckless and careless actions. We offer an initial free consultation to discuss your case. We do not take any upfront fees because our law firm accepts personal injury cases on contingency. This means all of our legal fees are paid after we negotiate your out-of-court settlement or win your trial award. We assist you in pursuing the compensation you deserve to pay for your medical expenses, treatments, surgeries, and procedures. We also seek recovery for your property damages, lost wages, lost earning capacity, pain, and suffering.